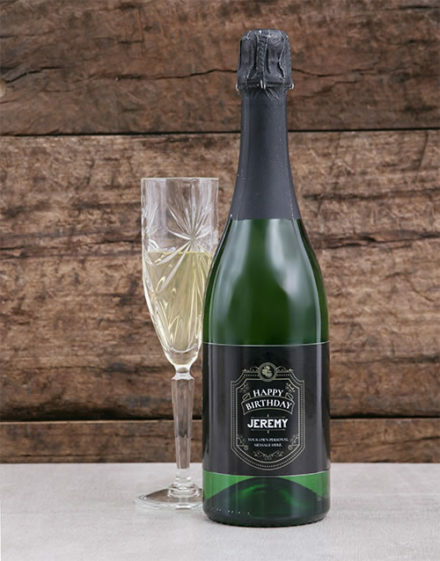 When it’s time to pop the cork in celebration, our selection of fine South African Sparkling Wines and imported Champagne will ensure a memorable occasion. Our range of imported champagne includes Moet en Chandon, Veuve Cliquot, Dom Perignon and more. 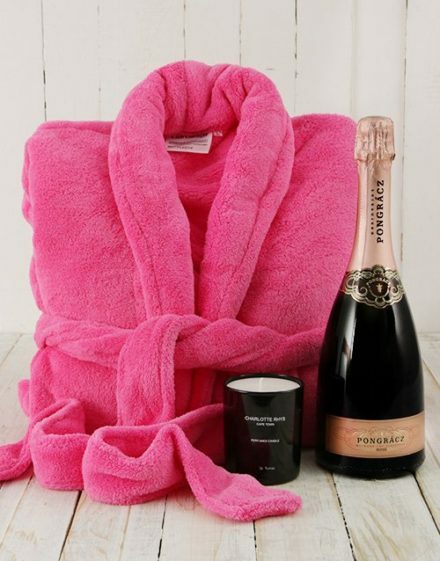 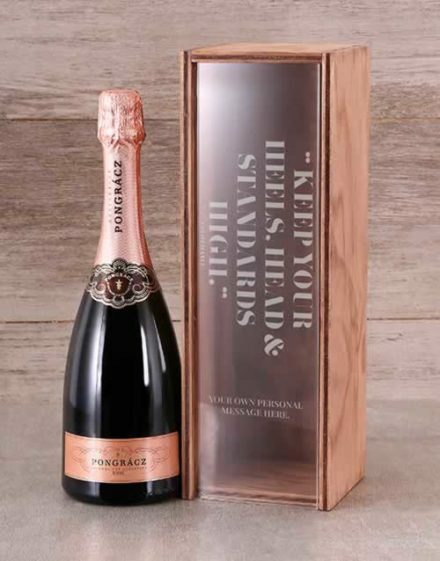 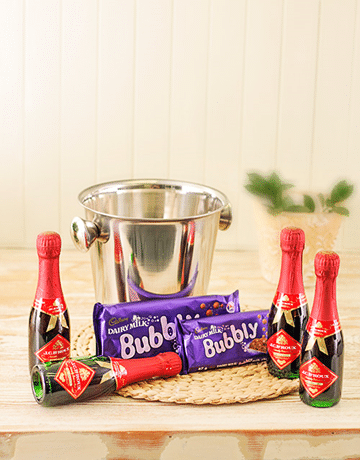 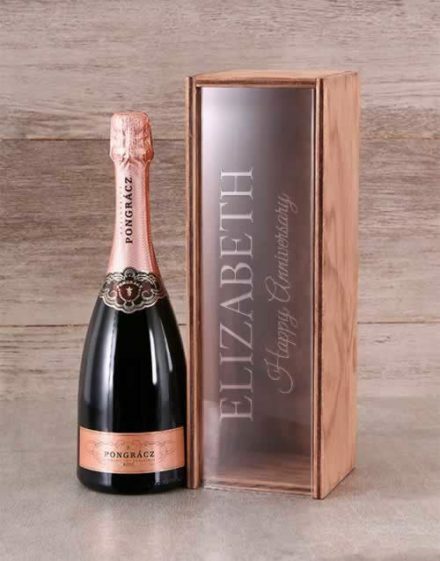 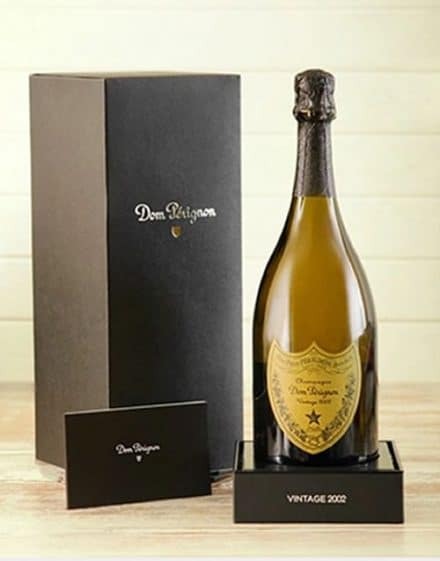 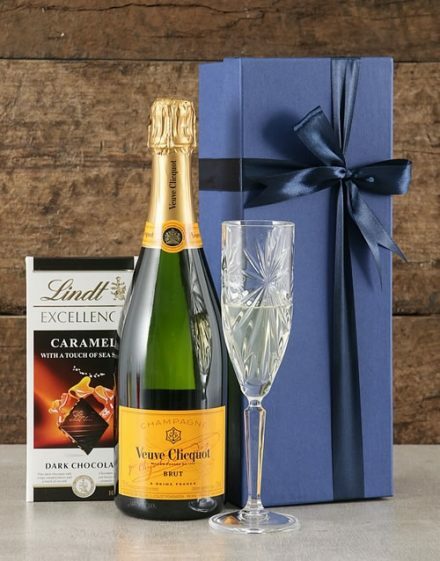 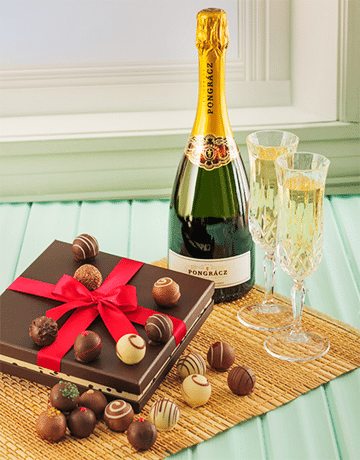 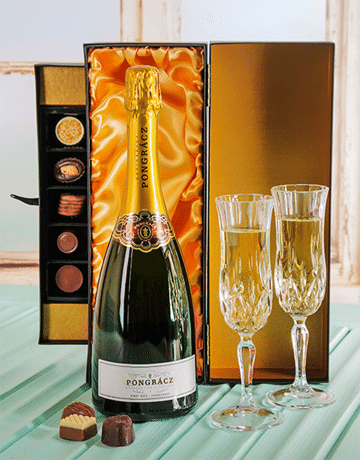 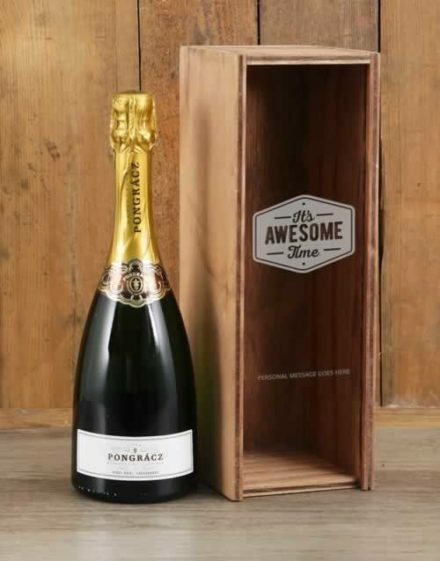 To make your surprise even more pleasant and spontaneous, give a personalised champagne gift. 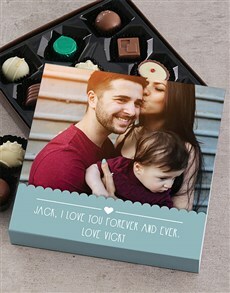 The boxes are customizable in terms of colors or labels. 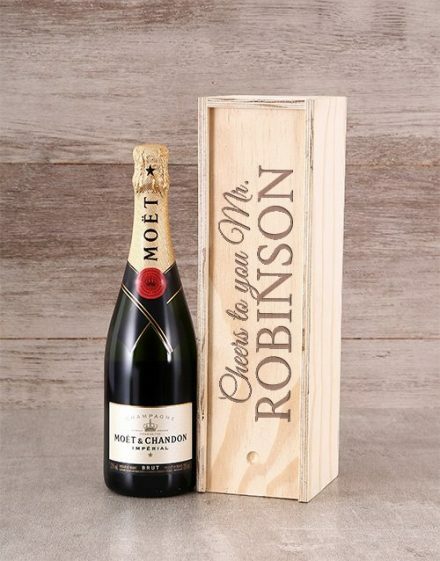 Send your wishes to your partner with a message to his name to make the moment even more romantic: a very romantic gift idea! 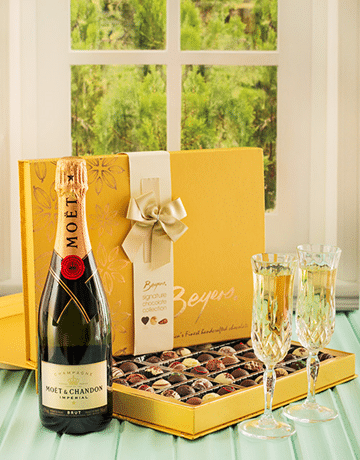 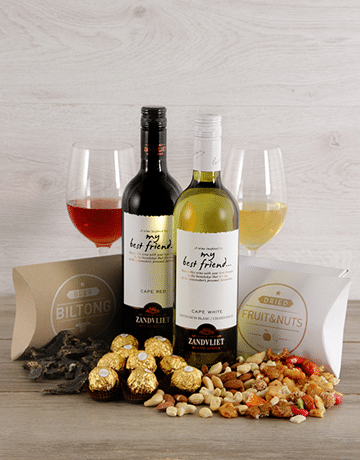 Online, we offer you complete gift boxes fully customizable. 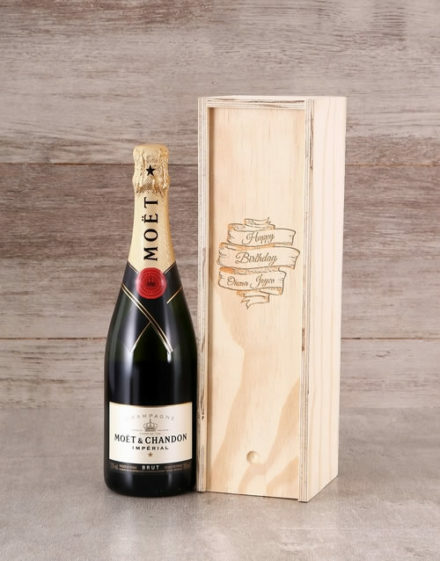 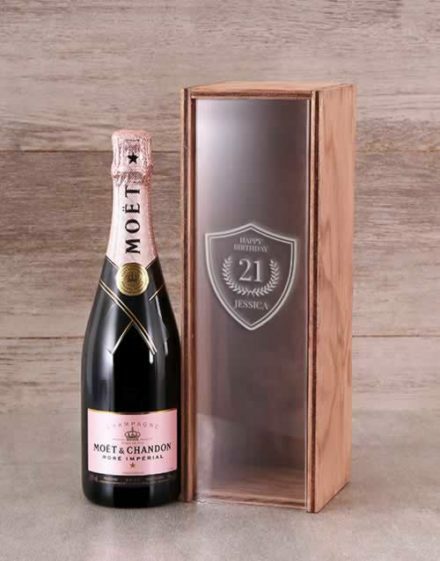 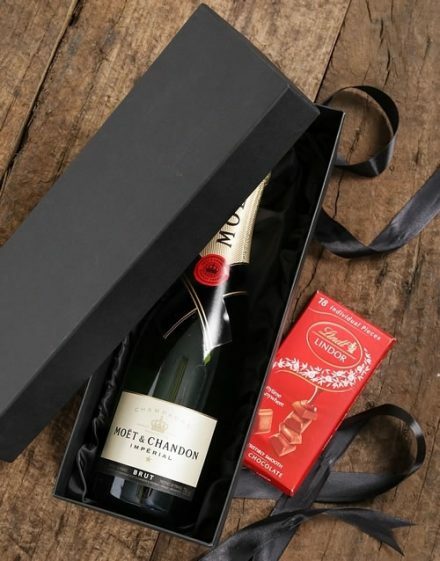 For example, if you are in love, you can choose the Personalised Moet Gift Box, or simply the Personalised Moet Rose Crate, a magnum of champagne perfect for a night out with your partner. 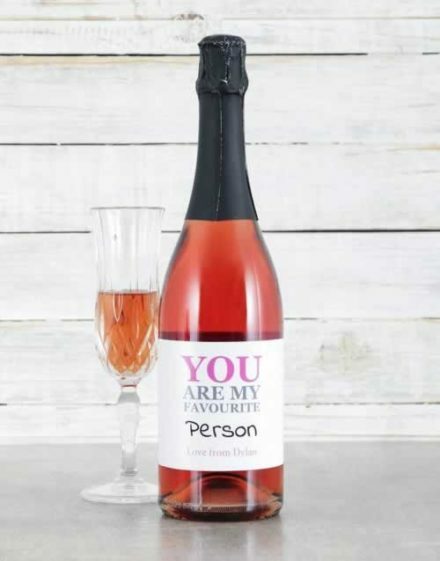 No need to bother you in the details, you just need to register your name and that of your partner to order online, and all with more than adequate prices! 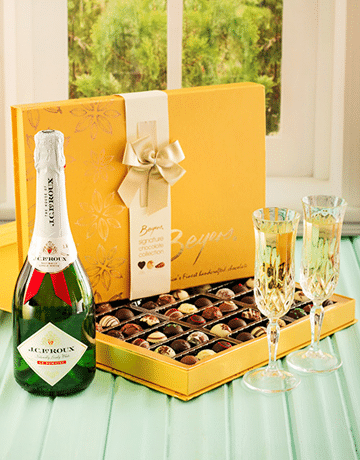 Enjoy our site visit and enjoy! 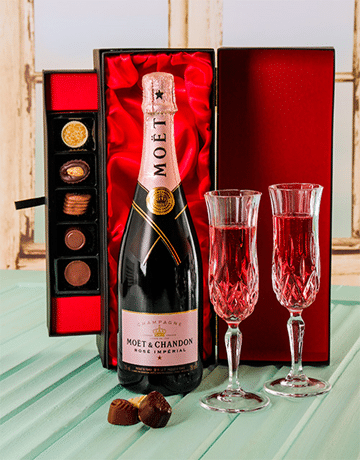 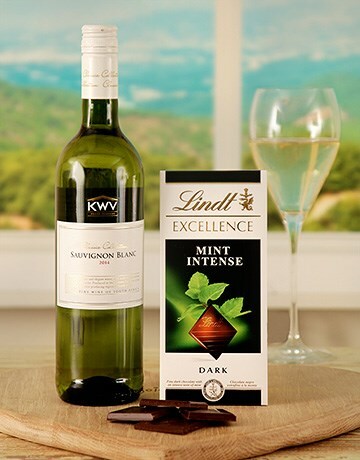 You’ll discover great value in our Moet Indulgence – containing a Moet Champagne, luxury chocolates and savoury snacks, our well-liked Moet Pink Champagne & Treat Box or our excellent Pongracz and treats… plus much more. 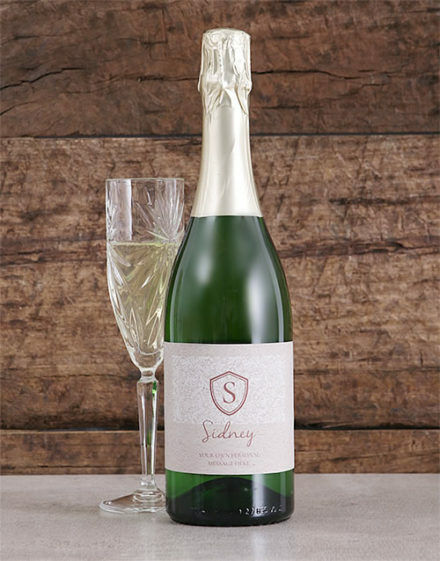 When you choose your bottle of champagne, you will notice that they come in several blends, grape varieties and terroirs, age and colors. 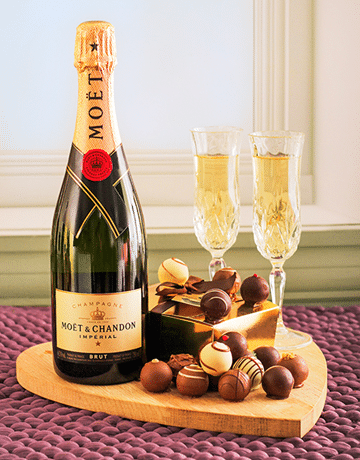 Finesse, fruity or power, champagne is only a matter of taste. 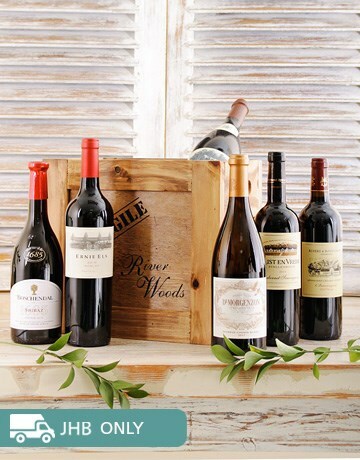 You will often come across an entire gallery (white-whites, black-whites, prestige wines, vintage, etc.) 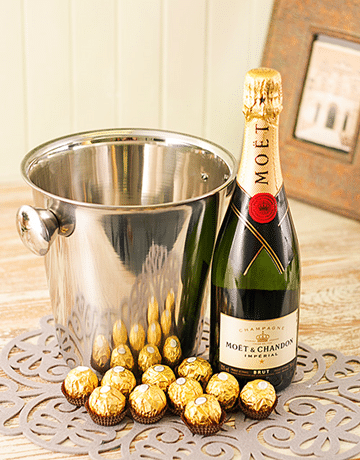 where you will be spoiled for choice. 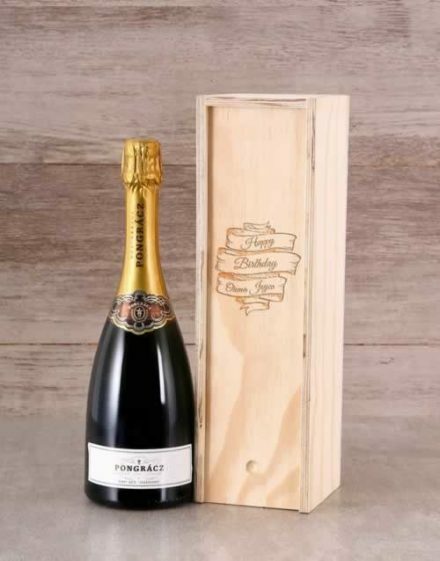 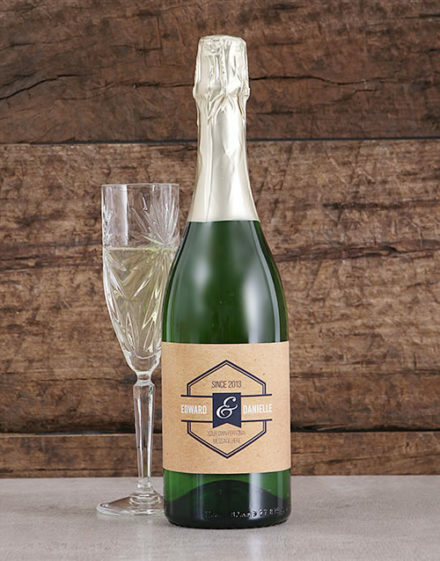 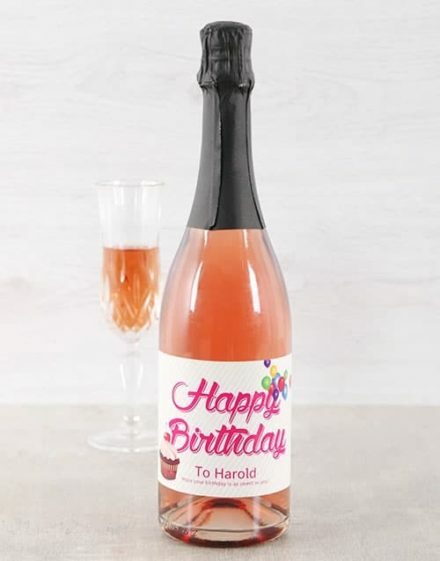 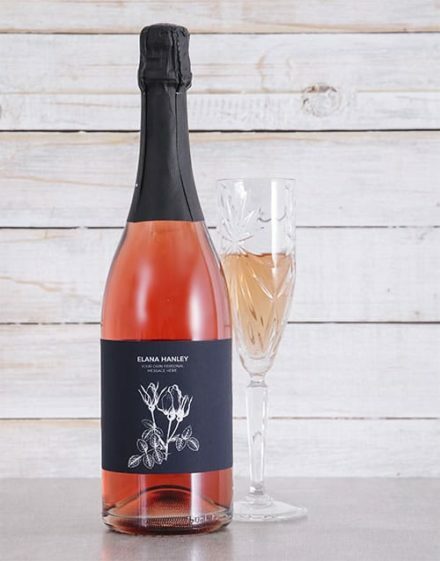 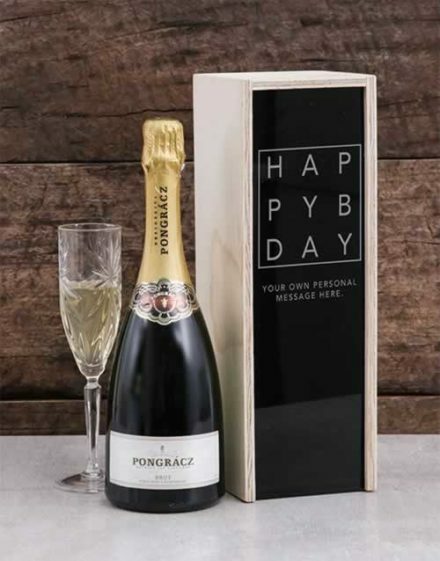 A gift idea of ​​”raw” champagne, whether vintage or not, can be suggested during weddings and other celebrations as it is enjoyed in harmony with sweet dishes. 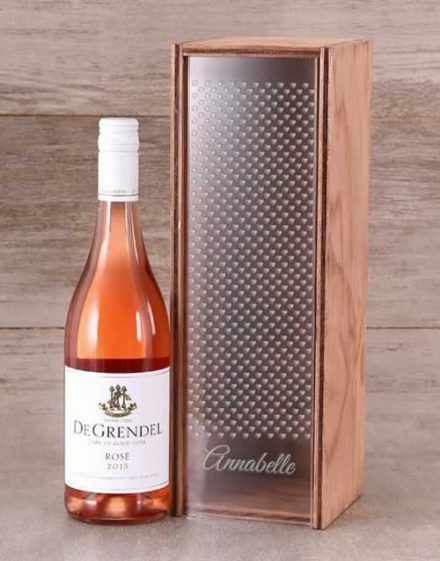 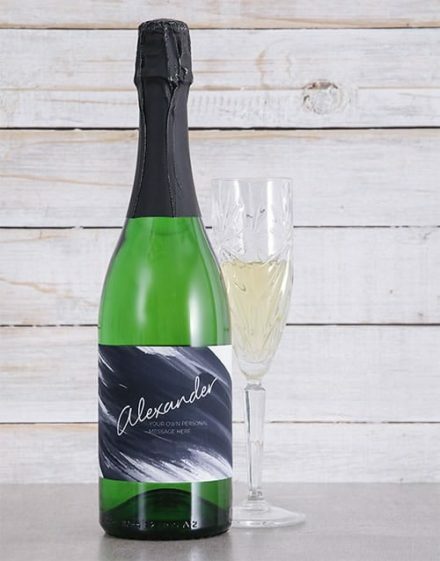 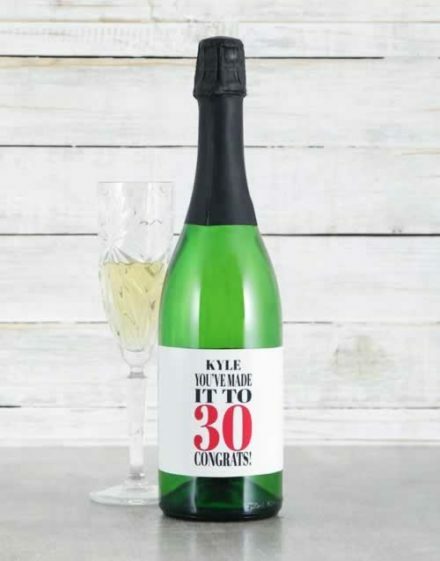 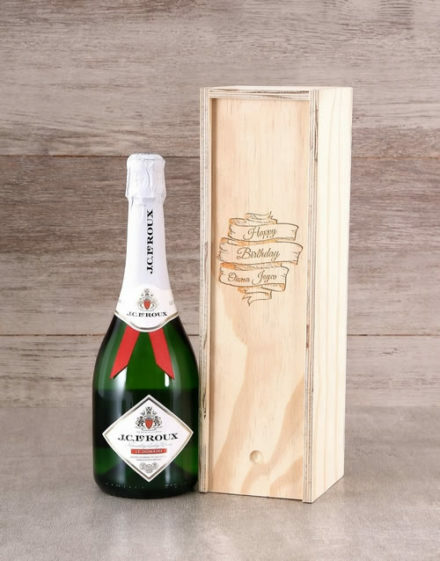 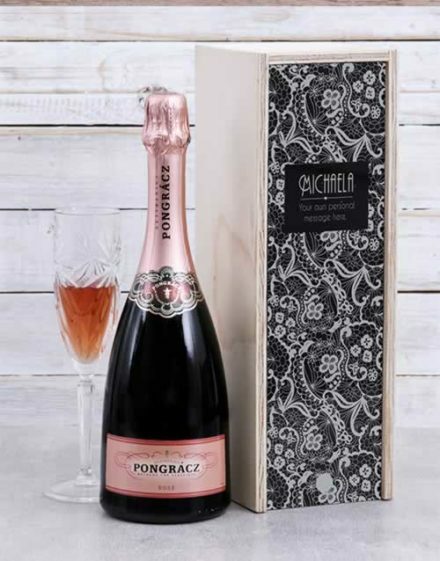 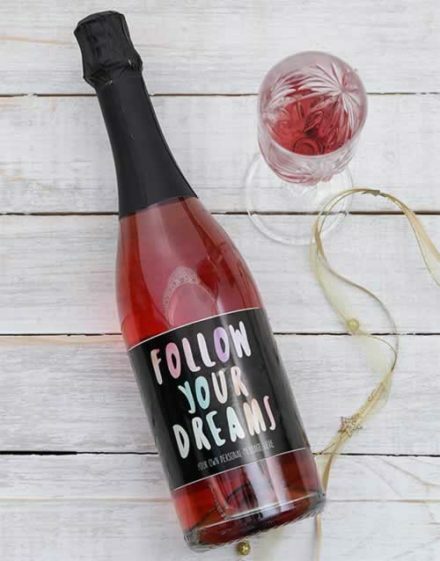 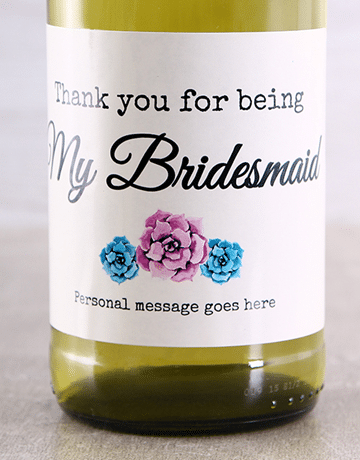 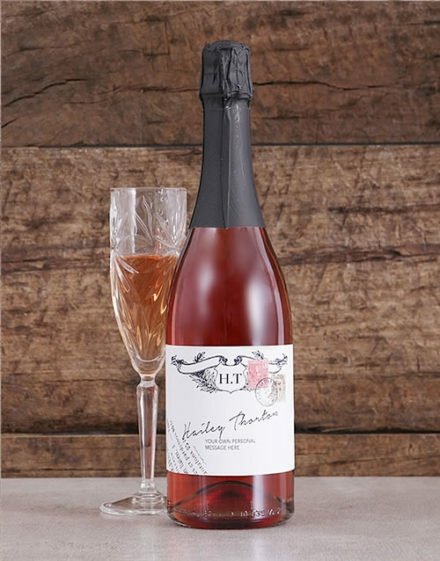 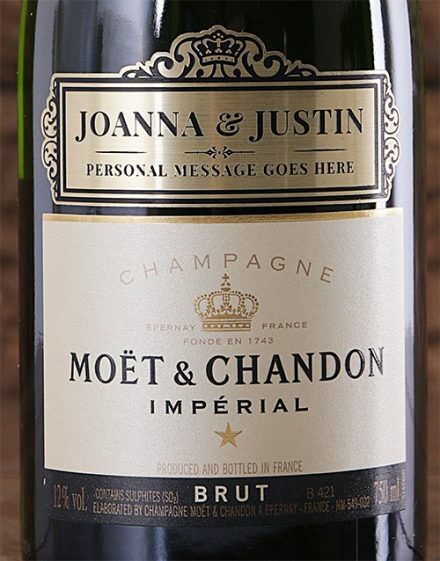 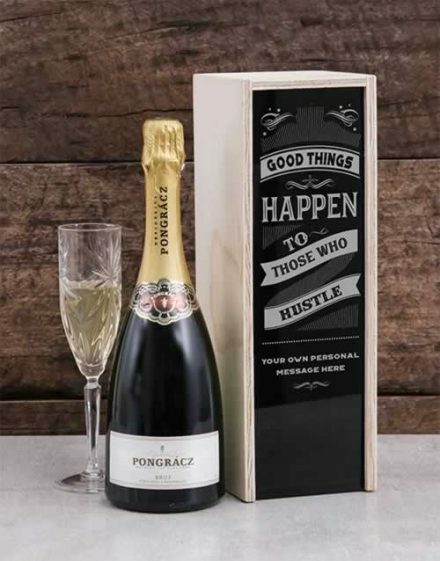 This champagne is also the ideal personalised gift idea for appetizers and appetizers. 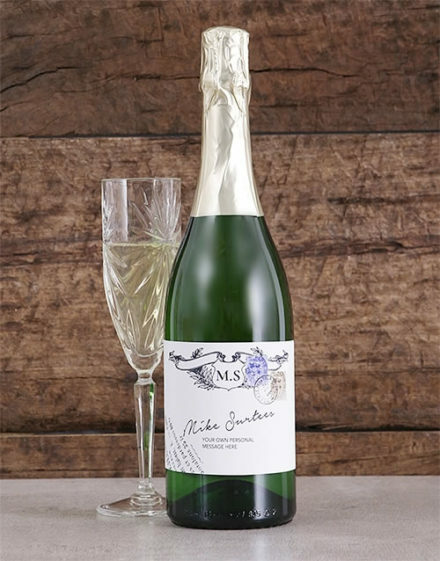 A “demi-sec” may be suitable during a cake tasting for its sweet flavor and sweet taste. 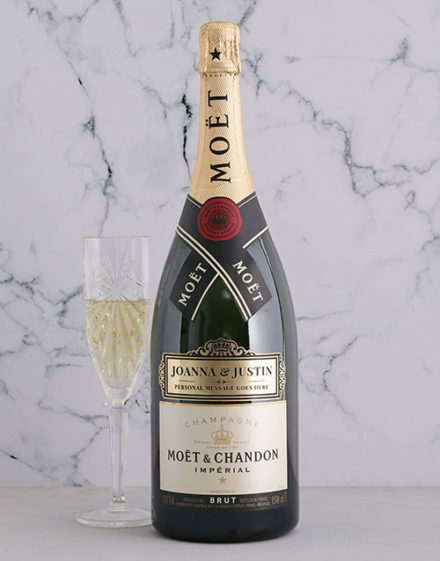 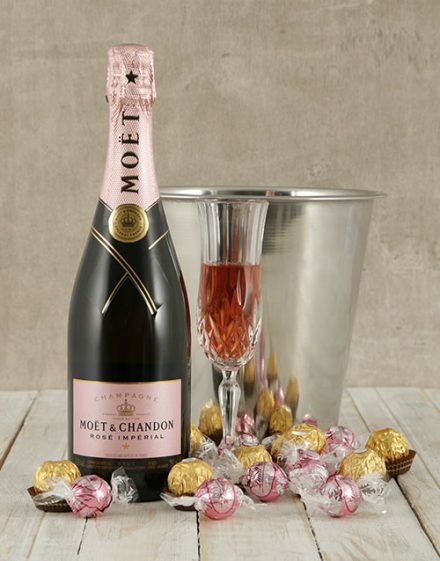 Classics such as “Moet” can be enjoyed at cocktail parties or birthday parties. 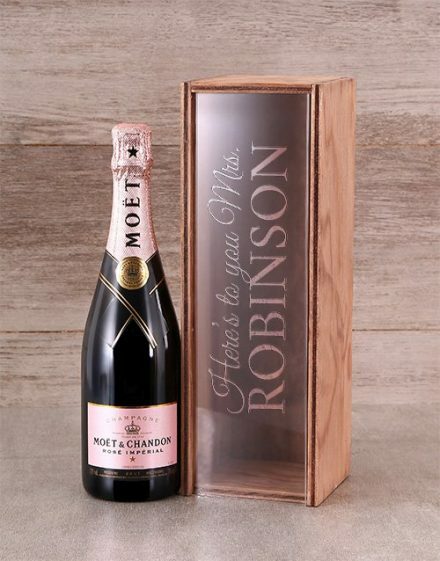 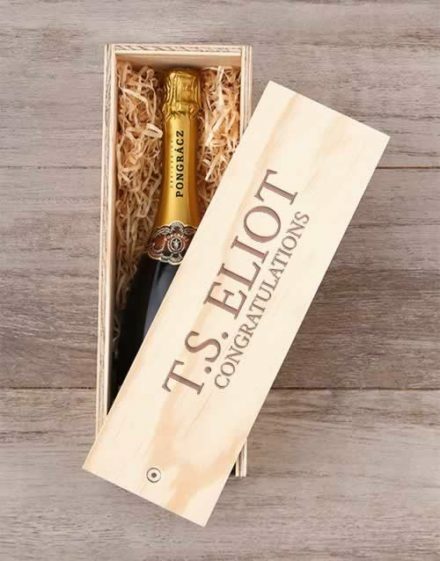 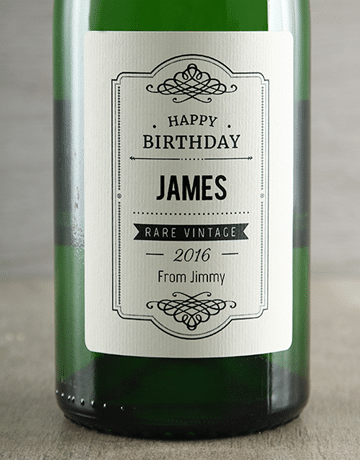 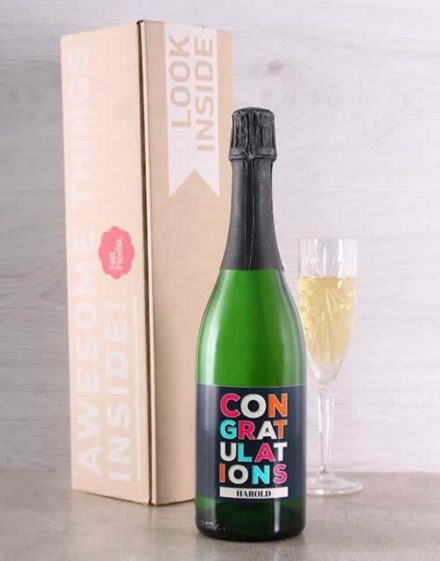 Your personalised champagne gift idea is then welcome! 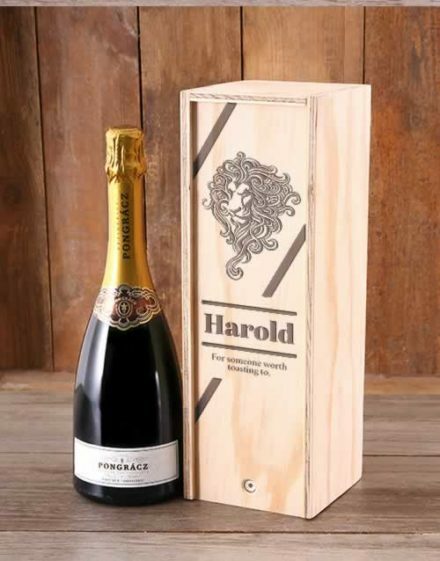 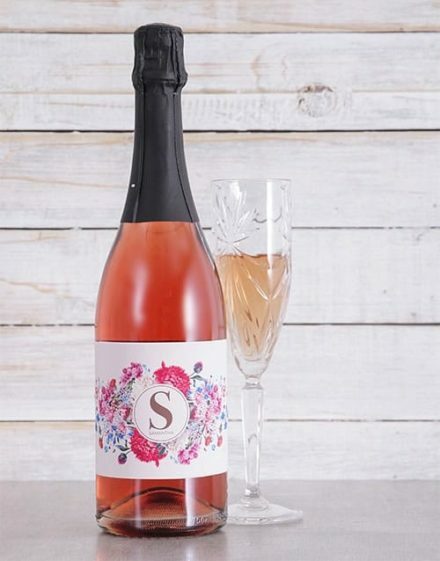 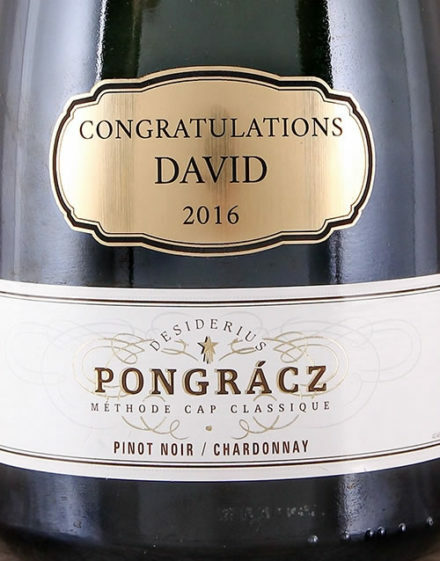 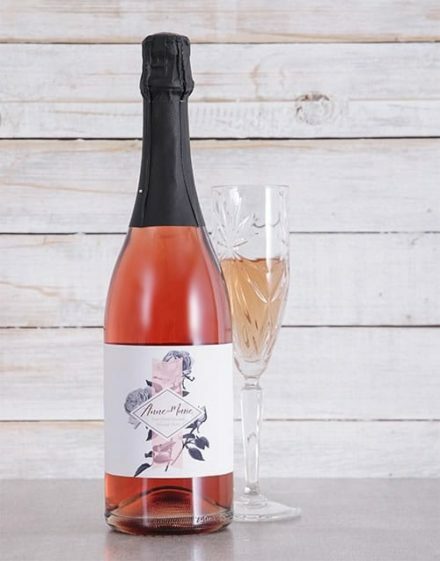 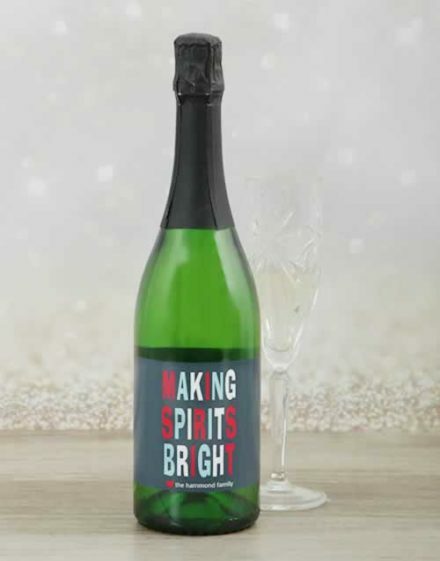 The personalised champagne is available on our website in small bottle, normal bottle, or champagne magnum. 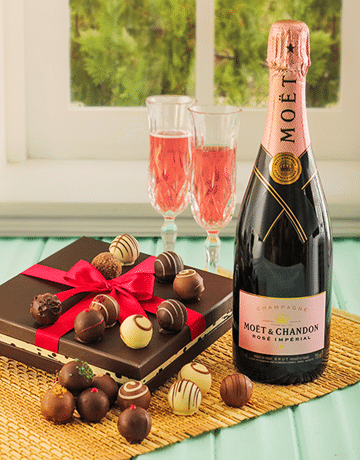 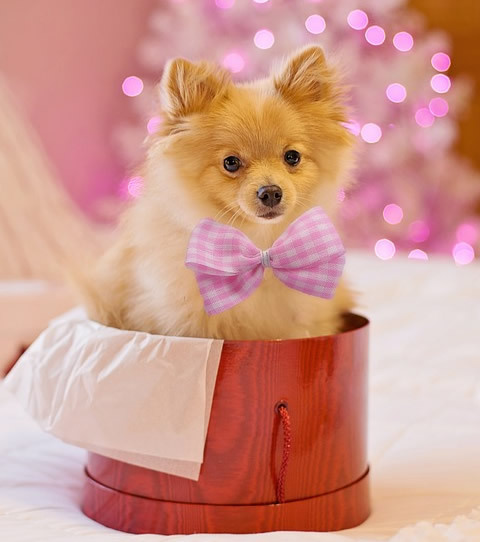 An original gift that pleases every time!